I have seen so many fruit prints this spring. I think it is such a fun trend!! 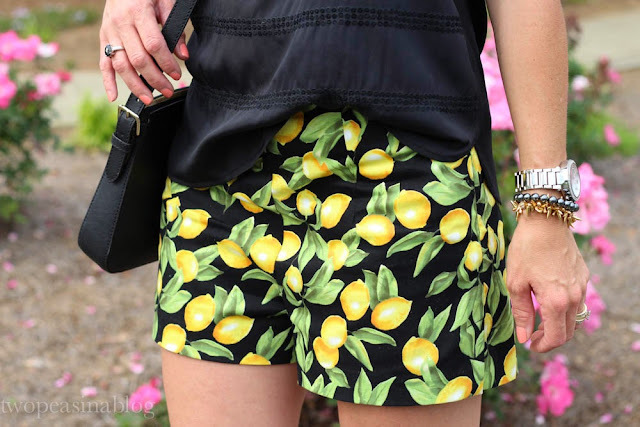 There are these lemon shorts that I found at Forever 21 for a great price. I love the bright yellow with the black. They would also look cute paired with a simple tee and flip flops. Or how about watermelon, lemon, cherries or pineapples? There are so many fruit options out there to try. 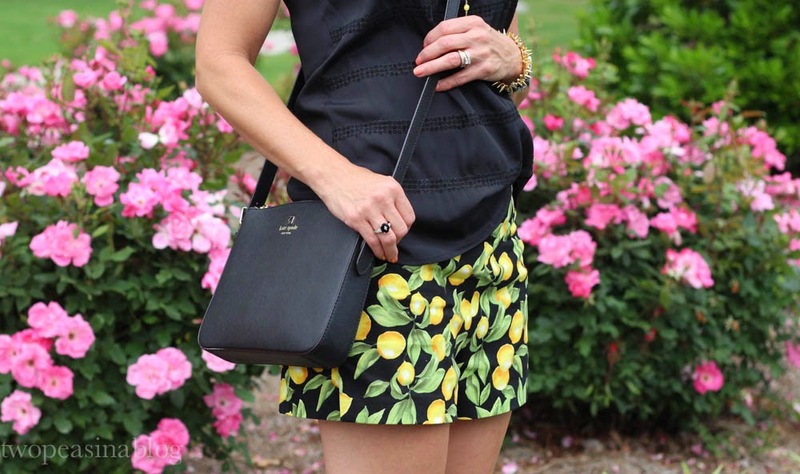 What fruit are you looking to wear this summer? In love with those shorts!! What a fun print! So cute! Okay, I just picked up those shorts yesterday and can you believe they are under $11!!! I couldn't and I just love them! officially the cutest shorts i've seen for summer. hands down! I have these shorts too and I love them! !